The scale? Is the DEBBIL! Well wait. Let me qualify that statement. If the scale is tumbling in a downward motion, showing you consistent and impressive losses day after day, week after week, without interruption, then the scale probably isn’t the DEBBIL to you. And then there’s the rest of us. True fact. I actually no longer own a scale. There was a point in time when I thought that decision would guarantee my automatic reversion back to the 327 lb. person I was the day of my surgery. Curiously, here I am, nearly 8 years post-op, holding steady with a 120 lb. weight loss. But I’m not here to convince you to give up the scale. That might cause a revolt and frankly I don’t have a home security system. Instead, I want to encourage you to look at several different metrics to track your progress instead of only looking at the scale. What is % Excess Body Weight Lost? On the Bariatric Foodie Facebook and Twitter accounts, we periodically check our % EBW (as I call it for short). Every time I do it, people get so happy. This number makes you feel way better than the scale because it shows you how close you are to where you want to be. It gets rid of all that “Is 150 lbs. really skinny…or should I go for 130?” business. It eliminates the “X, Y and Z lost 7,085 lbs. their first two weeks after surgery and I’m in a stall!” business. It focuses you in on you and your progress and shows you how far you have come. Ready to learn how to do it? It’s crazy simple! Take your starting weight and subtract your goal weight. (I don’t care what number you use to define those…your body, your choice!) For example, if your starting weight is 300 lbs. and your goal weight is 150, 300 -150 = 150. This is what you use as your excess body weight. Next go to this percentage calculator and scroll to the second row. (____ is what percentage of ____?) In the first box put how much weight you have lost so far in pounds. (Or kg or whatever you use…just make sure to use that same measure in the second box.) In the second box put the amount of your excess body weight (the result of #1). 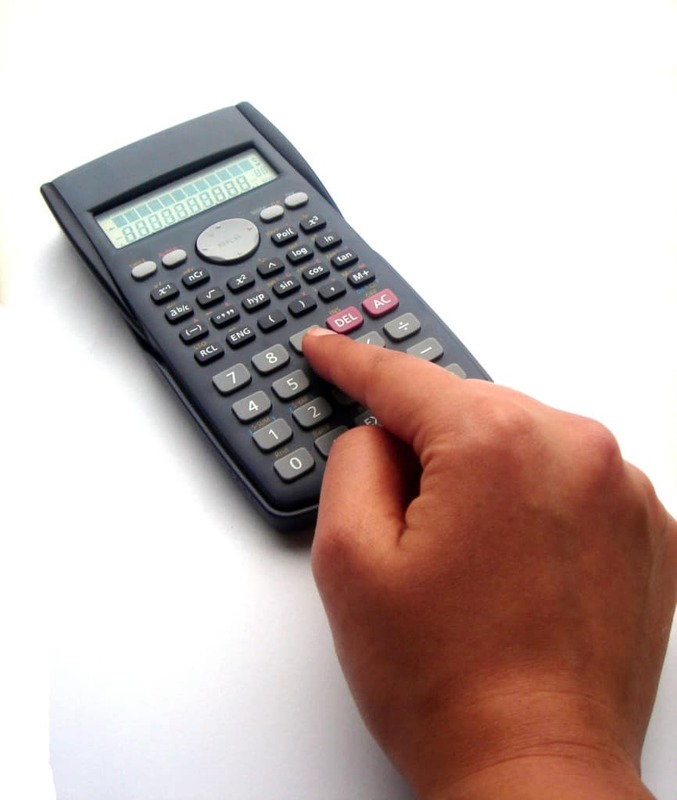 Press “calculate.” The result is your % EBW. What I like about this measurement is that it shows you how close you are to where you want to be. In the above example, let’s say that person (whose EBW = 150) has lost 82 lbs. That means they have lost 54.6% of their excess body weight. That means that person is more than halfway to where they are trying to be. This also means that person is awesome. Use This Information For Good, Not Evil! When we look at the number on the scale, sometimes we get disillusioned by what we think we should see, or confused because we simply don’t know what “normal” is, especially on ourselves. Measuring your % of excess body weight lost helps you focus on your progress without the messiness of our complicated history with the scale. BUT BE CAREFUL. Just as I don’t want anybody getting too hung up on the scale, you also shouldn’t get overly hung up on this number. It’s one of many metrics you and your bariatric team can can use to monitor your progress and just like with the scale, it’s really the trend that counts. So use this information wisely! I also lost 38 pounds BEFORE surgery. I try to watch my weight loss in terms of past and current health. I am no longer on 24/7 supplemental oxygen, and I no longer have to use my Rollator to walk. Although I cant walk far, or stand for more than a few minutes. So, this makes me happy. But my scale IS my frenemy. BTW, I LOVE the way you write! I have a problem with eating. I’m a month post opt and I find it hard, I have no appetite and my water intake is almost non existence. How many calories am I supposed to be consuming at this point. I need help. I’m so sorry to hear that you are struggling! Since I’m not a health professional it would not be appropriate for me to tell you how many calories you should be eating per day (and I’d probably be wrong!). Do you have a bariatric dietician at the practice where you had surgery? If so, you might give them a ring. If not, see if your insurance will cover you seeing a dietician and be sure to look for one who works with bariatric patients. I hope that helps! I’ve been beating myself up for not reaching my personal goal weight but I’ve lost 85% of my EBW. It really put things in perspective. I feel great so maybe I’ll let go of losing the last 23 pounds to my goal. I did pass my surgeon’s weight loss goal for me. Thanks, Nikki!